If one of the "crazy things" you want to do in your life is to spend money to enjoy a vacation only in paradise, then 7 resorts - dubbed the following resort paradise - will definitely meet all your needs and dreams. Especially, 7 paradise is not far away, it is in Vietnam only! 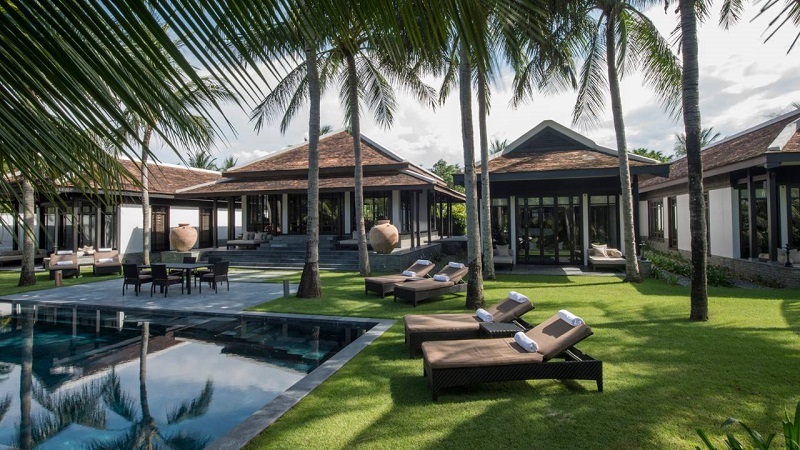 If you decide to choose Da Nang as your stopover and to have a complete vacation, bring Nam Hai Resort to the list of "places to rest" for your trip. 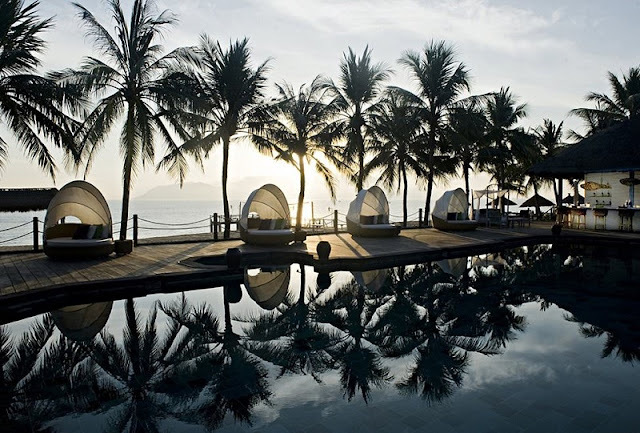 Located along Ha My Beach, the spacious, airy beach of Nam Hai Resort will definitely make you fascinated. 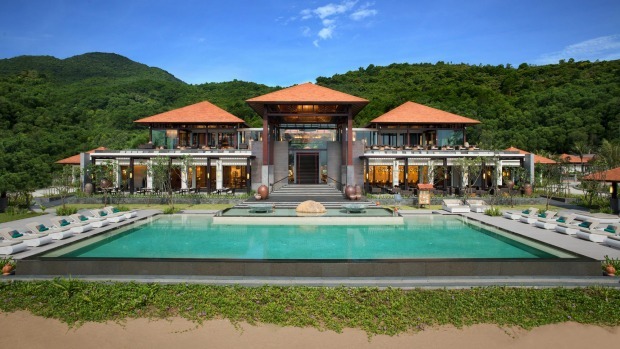 This is also one of the most luxurious resorts in Vietnam, the services in this "paradise" certainly worth the cost you spent for vacation. If you are planning to lead the lover "to escape" a few days, this resort will certainly be a perfect refuge. Romantic, thoughtful, delicate design, privacy, ... many sure enough to make the couple immersed in the world of love. Address: Hamlet 1, Dien Duong Ward, Dien Ban Dist., Quang Nam Province. Situated on Bac My An Beach, Fusion Maia Resort is also a stopover that many visitors have to surprise when coming to Da Nang. The space here does not belong to the row "look at forever not see the end," but the thoughtful, as well as the private space, warm enough that you feel no longer want to ask What more. This should be the first line of the five star resorts that you should visit once in your life. 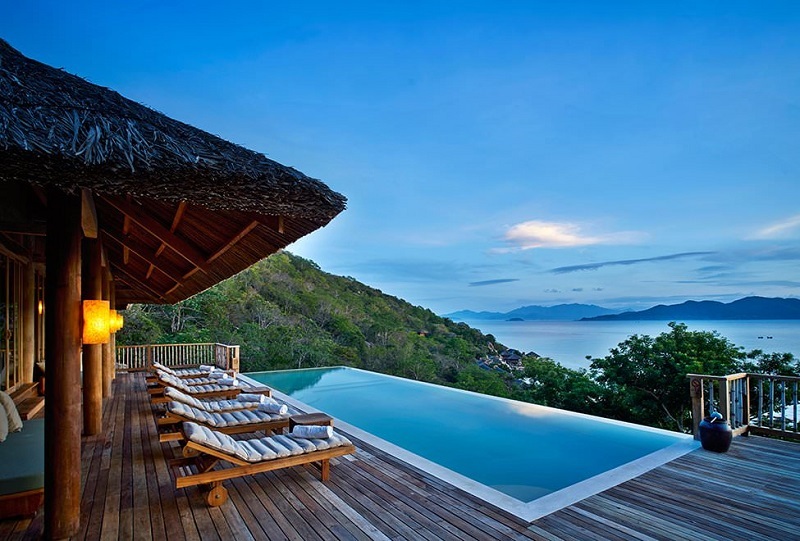 Six Senses is considered the perfect getaway if you want to be close to nature, fresh air and enjoy the best and full service. Situated away from the city center, the resort on the island is full of elements for a quiet and secluded getaway, surrounded by blue sea, white sand, hills and islands. There are also outdoor cinemas, the top 10 most romantic outdoor cinemas in the world. If you are tired of the familiar resort motifs around the four corners of the sun, the white sand of the blue sea, then quickly "translucent" vision to the imperial city of Hue. Banyan Tree Lang Co Resort will give you the experience of the so-called space of the mountains and the peaceful atmosphere of Hue. Stop imagining a dark, dim, low-maintenance resort features the sad man in Hue! Because of the traditional interweaving tradition will lead you from surprise to surprise when visiting this place. Being the first and only 5-star resort in Con Dao, Six Sense Con Dao stretches along the pristine coastline, which is a paradise on earth. With the same criteria for being friendly with nature, the luxury resort with modern design will ensure that you will fully meet for a "hidden hideaway" of your friends and relatives. 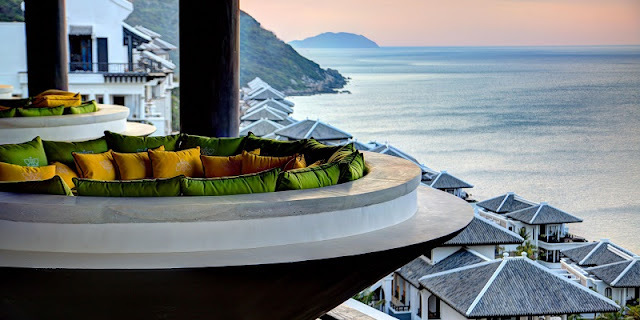 With the title of "World's Leading Resort", it is no wonder that the InterContinental Danang Sun Peninsula Resort falls into the "paradise on earth" list. The highest room rate here is nearly 20 million per night, the lowest is about 6 million per night. Along with the service of the famous restaurant La Maison 1888, visitors to the InterContinental Danang Sun Peninsula Resort experience a high level of accommodation ranging from dining to dining. From here, you can watch the beautiful ocean, or relax by the large outdoor pool and spa is very separate. 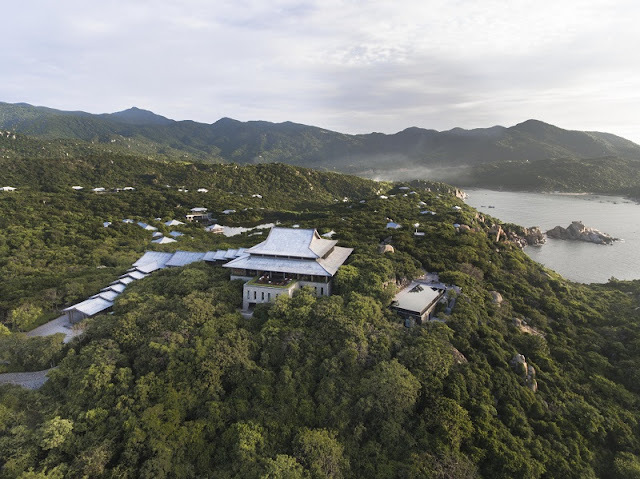 Referring to the most luxurious resorts in Vietnam, Amanoi Resort is absolutely the absolute name not to be missed. First of all, you have to look at the extremely expensive price when completely wrapped in privacy in the mountains, but you can still admire the beautiful blue sea of Vinh Hy Bay "god" to bored only. After that, the utilities are served attentively, together with relaxing space, private but extremely luxurious, delicate to spoil your experience.